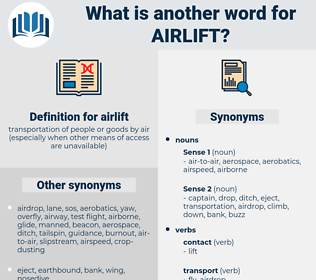 What is another word for airlift? blames, holds, air, airline, airlines. 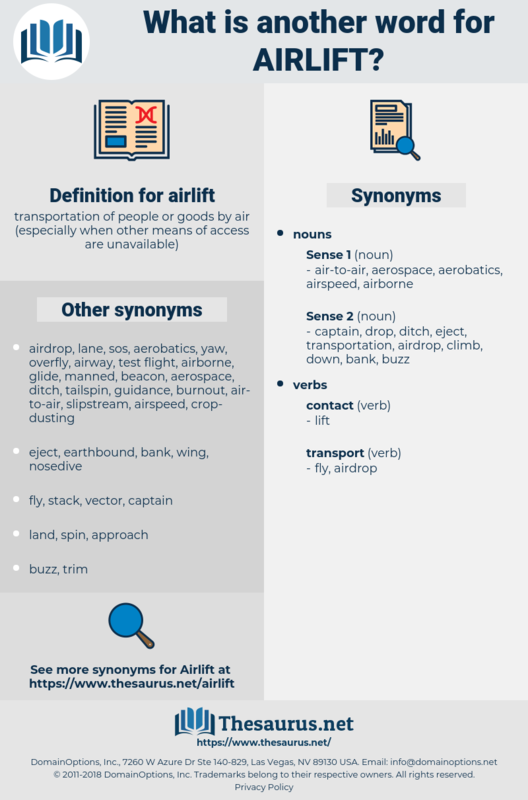 transferral, transfer, conveyance, transportation, transport.